Both garbage collection and disposal need to get more organized as services. Everything we do, from cooking to house renovation, involves garbage. Hence, it is essential to have a proper system of garbage disposal as well. Poor waste collection exposes us to the chance of contracting many ailments. It also results in pollution on a huge scale. Only when there is a systematic way to dispose of the garbage, will your home, office and other places stay clean and dirt free. Do you lack a proper garbage disposal method in place? If yes, then the ideal way is to opt-in for a skip bin service. Today, several companies specialize in this service. You can go through their website, select your area and hire service. However, you need to know that not every company provides the same service standard. Hence it will be slightly challenging to select the best company. Developing a website is an easy task today. And the online world is replete with expensive sites about skip bin services. To ensure that you are joining hands with the best service, you need to assess a company thoroughly. Here are three essential pointers that you should always consider. It is an important consideration to make! Operating an authentic and organized skip bin company will require a necessary permit. It is essential to note that there are skip bin organizations that can get the permit on behalf of the consumers. And there are others who expect that the clients will obtain the license. Whatever be the situation, it is always a smart call to read and thoroughly understand all the terms and conditions associated with the legal license and permit. There are also other factors similar to this that you need to consider before making the final choice. One more important aspect of taking note of is the skip bin size. The best size can be decided by your garbage quantity that you have to dispose of. Hence, it is always better to get speaking with the skip bin service company and check out the choices they have. 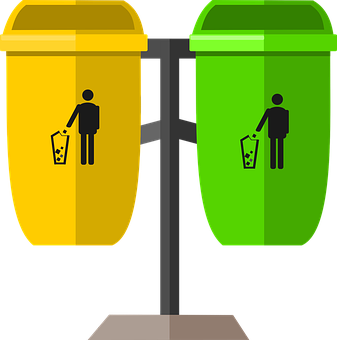 You can either choose a small size bin or a huge one, based on the garbage quantity as well as your budget capacity. The level and degree of customer support service provided by a skip bin service provider is an essential consideration. 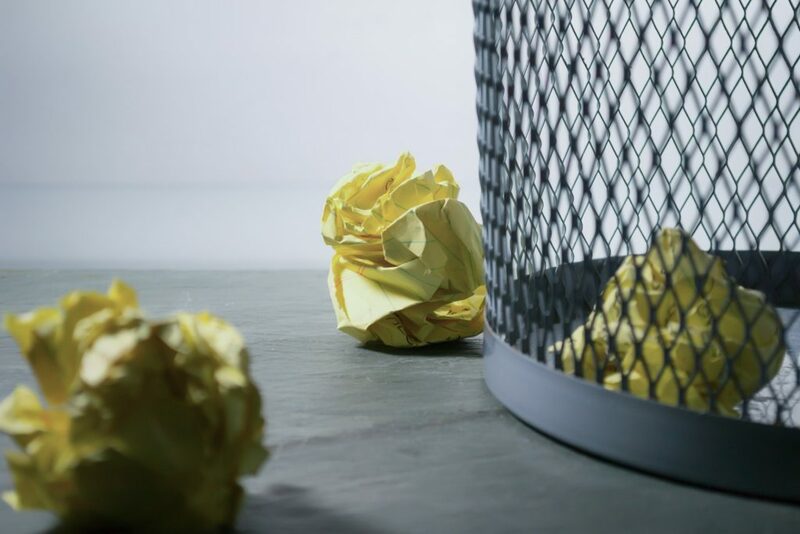 There are service providers that have been in function for years and have understood the true nature of waste management and the way it needs to get executed. These companies are willing to make a difference with their excellent services and round the clock customer assistance. Hence, a skip bin service company that is worth joining hands with should be the one willing to extend customer support at any given hour. The company should have customer representatives ready to address a customer query whenever it comes in. These are three essential criteria that you need to keep in mind when hiring a skip bin service provider. This way you can do justice to your waste management and also your budget capacity. Everyone dreams of green earth where they can breathe in the fresh air and walk on clean streets. Pollution and other wastes are enough to pollute the air and dirty the environment. One of the most common yet underrated ways to attain a better environment is recycling. But not everyone today has realized the significance of this process. And this also brings us to an important question. Perhaps not all materials can be recycled! And to gain clarity, you need to get in touch with an ace local recycling service provider. Here you can visit 27 Recycling Miami center for more information. Today, most goods and products contain a recyclable mark on the packaging. However, you need to ensure one thing. That is, if the disposal containers are having recyclable goods, will undergo the recycling or will result in increased landfills. A recycling center that would landfill the waste products is not where you should approach. During the recycling process, the used materials get transformed into brand new products. It minimizes the requirement to take up natural resources. When the used materials don’t get recycled, the brand-new products get developed by taking up fresh resources from the planet, through forestry and mining. Hence, a systematic recycling process is essential to preserve the earthly resources. It also secures the natural habitat for the future. When you make use of recycled materials for a manufacturing process, then it needs less energy to produce brand new products, using the raw materials. The energy consumption is less even when you compare all the related expenses that comprise of transport. Additionally, you have increased energy savings. It is because you need extra energy for refining, extracting, processing and transporting the raw materials that are all set for the industry in comparison to offering industry-ready materials. 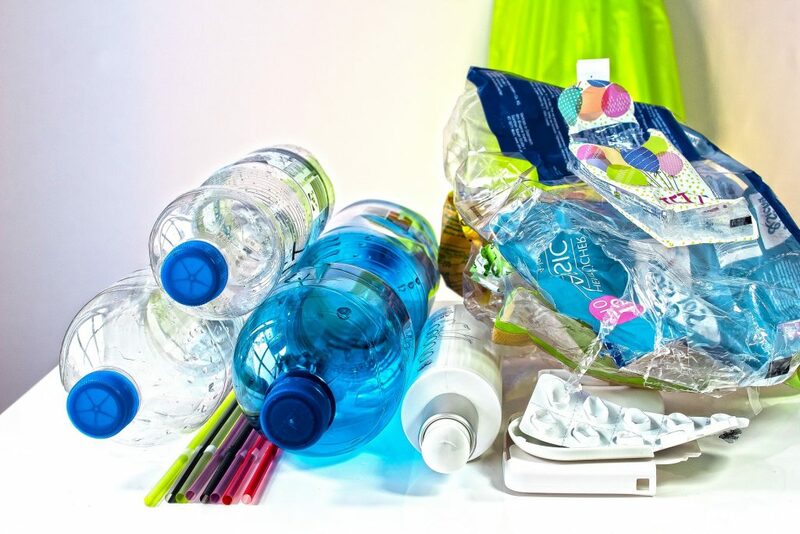 During the recycling process, recyclable products usually get reprocessed in new products. Hence, as a natural outcome, the percentage of rubbish that’s sent to the landfill sites gets minimized. Today, you will come across several landfill sites all over the world. Here’s an interesting fact – back in 2001, the landfill sites led to large methane emission. It is one of the potent greenhouse gas emissions. If we have to take baby steps to secure our Earth and the environment, recycling should be our first step. It ensures that there is no waste in the landfills and other places. When the earth gets free from the toxic waste, the planet becomes greener and safer place. These are some of the essential advantages of recycling. From small bags, industrial equipment to household appliances everything can get recycled to develop something new. You simply need to get in touch with the correct service provider. 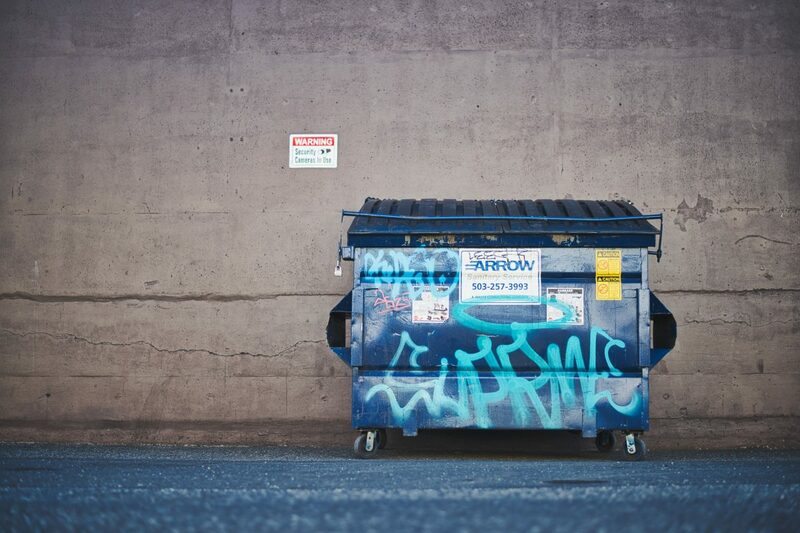 While renting a dumpster a common question that may bother you is what you throw in and what not. You may have a long list of items which you would like to throw off to get the house clean. But still, you may have doubts in mind before throwing anything and think if it is legally permitted or not. That’s why it’s safe and good to know the list of permitted items. You are permitted to throw old electrical appliances in a dumpster. This includes dishwashers, stoves, microwave ovens, irons, toasters, etc. You cannot normally dump in refrigerators and air conditioners. For them, you will have to take permissions. Electronic items like televisions, printers, computers, scanners and many other small and big personal equipment are allowed in a dumpster. 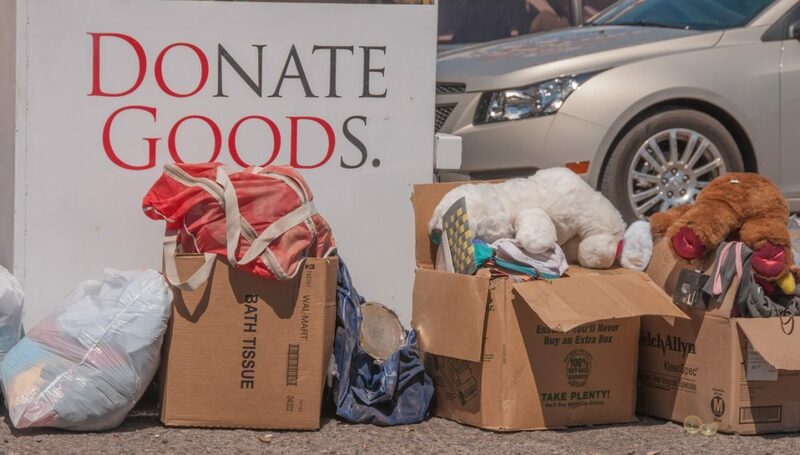 Although you can dump them in the dumpster, you should be mentally ready to pay a small extra charge for dumping them in the landfill or for their waste processing. But you will have to check the rules with the dumpster rental service and make sure they also allow you to do so. Normally furniture can be dumped in a dumpster easily. They are accepted, especially when you are dumping wooden furniture. But if you are dumping upholstered furniture, then you will have to check with the rules of the services you are using. You can definitely dispose of broken furniture or parts of old furniture but if you can dispose of the whole bed or couch in it, has to be checked with the local service you are using. Dumpsters are often rented to clean the yard, and you put most yard waste in the dumpster. Yard waste contains old leaves, tree roots, cut branches, twigs, broken fences, cut shrubs, etc. this also may contain gardening tools and equipment which are of no use now, like spades, shovels, old lawn mowers, leaf cutters, etc. You may dump grasses, piles of twigs and leaves, and soil, etc. in it, but you should be careful not to spread the mess, and rather tie them in bags or sheets before dumping. That’s because soiled dirty dumpsters would be considered unclean and contaminated by you only if the service send such a bin to you during delivery. If you have to remove debris from a storm, then also you may use a dumpster. Storm debris can be removed using a dumpster. There can be various types of things accumulated on the streets and yards after a storm. You can collect them all and dump. Only the limitation is with chemicals. You cannot dump liquid chemicals, oils, and sealed liquids. Waste from broken floors and broken roofs can be heavy. Wooden shingles, asphalt shingles, slate or other materials are heavy. Again floor tiles, marbles, granite, concrete, bricks, etc. are heavy items. If you have to throw out such items, then you must tell your dumpster rental company that you need a strong and sturdy dumpster to accept such heavy rubbish. They will accordingly send an apt dumpster for this. You may dump empty aerosol cans in a dumpster too. However full cans or half full cans cannot be dumped as they can burst or catch fire. You cannot dump a mattress ina dumping bin. Mattresses are generally not allowed by all services. For throwing off a mattress, you may have to bear extra waste processing charges. Air conditioners and refrigerators cannot be dumped without special permission in dumpsters because they contain refrigerants. If refrigerant gases get leaked in the air, then it can be toxic for the environment. Tires are not generally accepted in dumpsters. You cannot put tires because tires are actually recycled in most places. They are recycled to make asphalt and other things. Even auto parts dealers would accept your old tires while you exchange them for new ones, just to send them for recycling. That is why tires are not sent to dumping grounds. No paints, wood strainers, varnishes, lacquers, oil, thinners, latex, etc. can be dumped in open or sealed condition in a dumping bin. You should not knowingly dispose of adhesive or glue type material in a dumpster. The glue may stick to the insides of the bin and damage it. Normally, such things should be thrown off with regular daily waste in your household waste bin. You should never throw in batteries in a dumpster. Car batteries, power banks, laptop batteries, desktop chargers, inverter batteries, etc. are big and medium-sized batteries, which contains chemicals, and should not be thrown in a dumpster. The chemicals on leaking can cause great environmental damage. However, you may throw simple daily usable AA and AAA batteries. All items which are chemically and medically or biologically contaminated should not go inside a dumpster. This includes medical waste, contaminated soil, a dead body of an animal or pet, pesticides, alkalis, acids, motor oil, asbestos, etc. A dumpster is not for food waste unless you order some special dumping bin for this which would be mostly covered. The main reason for this is that food waste attracts pests and bugs, which causes environmental pollution. For more information, visit houston.bintheredumpthatusa.com/home. Many cleaners and solvents for cleaning floors, stains, glasses, furniture, etc. are used in households. You should not dump them in a dumpster. When you know to follow these norms, and when you have this awareness that you must ask the service before dumping something controversial, then you can handle waste disposal in a dumpster or bin much responsibly. On the one hand you need to get rid of waste, and on the other hand, you also must adhere to rules which are for safe and legal ways of waste disposal. It’s best to check all of the points above as you rent a dumpster from a local service provider. What’s one of the most iconic things you can do over the Christmas season? Have a snow holiday! Granted, in Australia, Christmas tends to come toward the middle of the hot season—but that doesn’t mean you can’t hit the slopes. Just stay away from the outback and you can find some fine powder for the whole family. If you haven’t been skiing or snowboarding before in Australia, you might check out Thredbo; Thredbo ski packages offer access to lots of trials, lessons, and on-snow facilities. And there are quite a few advantages to such packages as well. Lantern Apartments offer a great variety of Thredbo accommodation options. 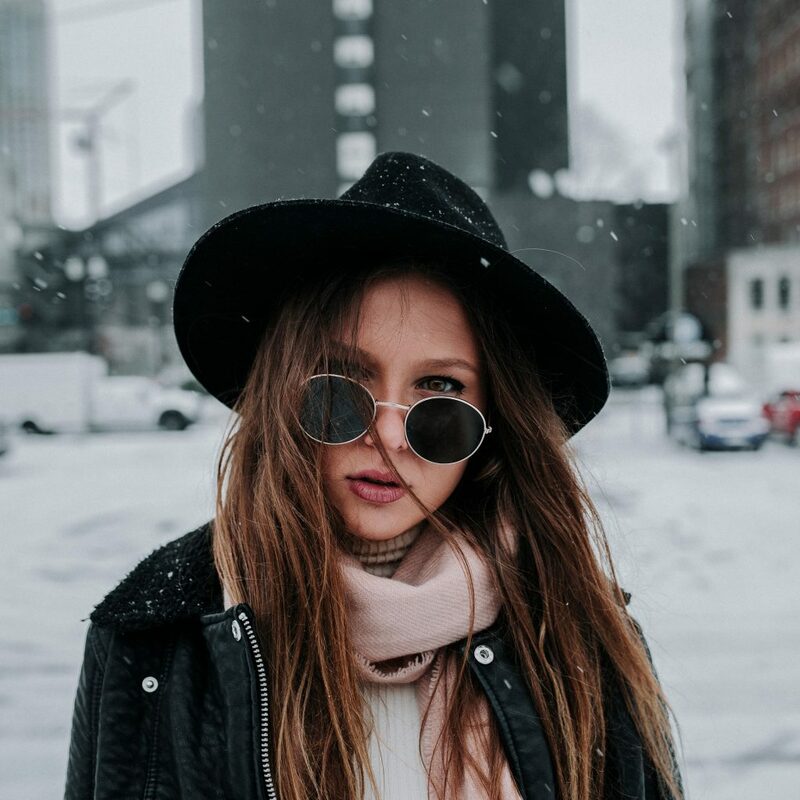 For one, you can find some downright cost-effective getaways at Thredbo which will give you a heap of entertainment for a relatively small investment of time and money. Additionally, snowboarding has benefits that aren’t simply of the thrilling variety. If you’re going to enjoy skiing or snowboarding, you’ve got to be ready to fall down and pick yourself right back up—even though the fall may have been slightly (or very) uncomfortable. This is, in microcosm, a lesson well worth learning in life. If you just keep picking yourself up, eventually you’re skilled enough that you don’t fall down so often. Persistence is a key factor in success. This lesson is hard for younger children to learn abstractly. They’ll fail at some small thing, cry, and take months to pick it up again—or they might never do so. If you comfort them at the wrong time, or discipline them at the wrong time, it can have equally disastrous effects. But with skiing and snowboarding, the lesson is learned more quickly because the positive aspects of getting up again are so excellent. You can teach your children while allowing them to have an excellent time on the slopes, and learn a new skill. You’ll also be giving them life-long memories they may even pass down to their children in the future. It really is a win-win scenario all around. And if that weren’t enough, winter sports are exceptionally healthy in terms of athleticism. This is as true for adults as it is for children. It’s better to be physically active, and on a regular basis. If you’re having a ski holiday, you can eat whatever you want. Provided you hit the slopes, you will be strengthened. It’s easy to burn 2,000 calories a day skiing or snowboarding. You’ve got adrenaline from the rush of quickly moving downhill. The muscles in your lower body must constantly strain in order to maintain equilibrium. Falling and getting up, frequent occurrences on the slopes, will likewise stimulate varying muscle groups. In fact, you may find yourself very sore after your first day on the snow; so be sure and eat well in order that muscles can repair themselves! Granted, this is a form of exercise that may be too expensive for regularity, but that doesn’t mean it isn’t worthwhile over the holidays. You won’t miss the gym at all, and you’ll get twice the workout! If you’ve never experienced the age-old winter pastime of snow and downhill thrills, it’s at least worth doing once in your life. So look into the options available to you, and see what you can find. You may discover this dream-like activity is much more attainable than you realized. 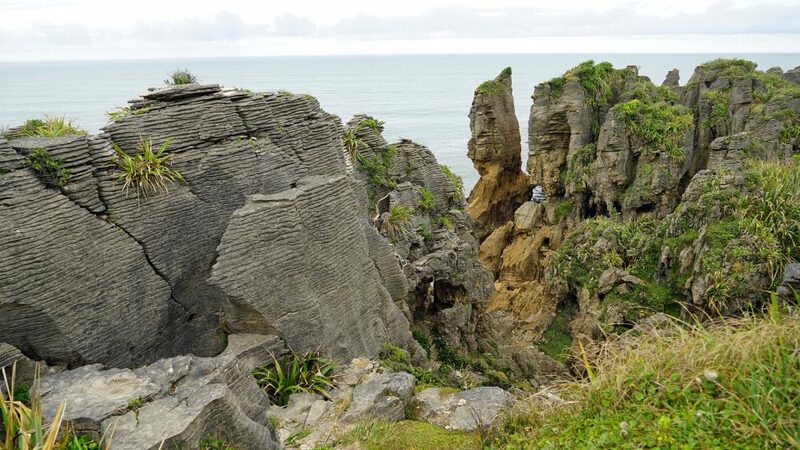 The road to the famous Pancake Rocks in New Zealand’s Paparoa National Park takes you on a breath-taking journey of beauty, with thick, wild vegetation on one side and the Tasman Sea on the other. If you’ve been working on a bucket list of places to visit, this destination should be near the top of that list. Here’s why. The pancake rocks in Punakaiki are the most visited natural attraction on the West Coast of New Zealand, and with good reason. One of them being the most stunning sunrises. You’ll have to set out early of course, but it’s well worth the effort – as the sun rises the rocks literally appear to glow. They look like real pancakes! 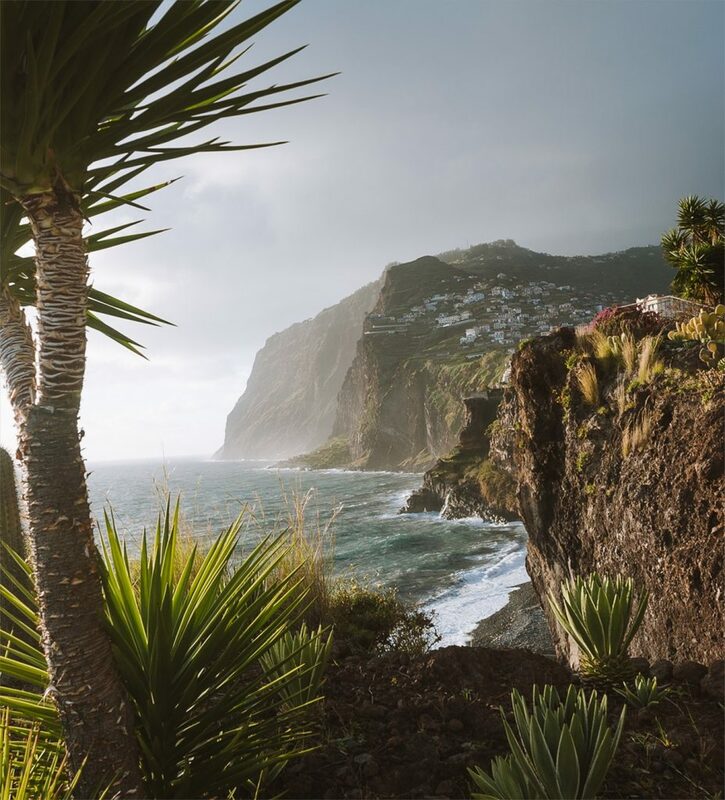 The cliffs, which can be found overlooking the sea, are composed of several layers of limestone – most of which are no more than a few centimeters thick. Whether you have a proper camera or intend to take pictures with your mobile phone, your memory card could easily become full before you know it, as there are so many platforms from where you can take amazing photos. Today’s landscape is the result of 30 million years of erosion, sediment depositions, and decomposition of dead marine creatures. In fact, the accumulated strata should have remained hidden. The only reason we’re able to see the rocks in all their glory is due to earthquakes that have caused the earth’s crust to rise. The Pancake Rocks are a delight to behold, which is what most guides focus on exclusively. However, there are a number of other unique attractions to see in the area. For one, check out the marine cave, but be sure to take a flashlight with you. The rocks can be slippery, so you’ll need to be careful. No matter how careful you are, it’s prudent to protect yourself with insurance from a reputable company such as www.state.co.nz, AA Insurance or Tower when you travel. While some of the caves have never been fully explored, some are home to glow worms, which can provide an awesome spectacle. After exploring the caves, we recommend taking a walk on the beach. As you progress along the coast, be sure to keep eyes peeled, because the smallest species of dolphin (Hector’s dolphins) can sometimes be spotted. As much as you might like to dive in, we don’t recommend this, because the sea is way too rough, even for a pro swimmer. The creatures and vegetation of the forest form an interesting ecosystem. Here, you’ll find the nikau, which is a palm tree that wouldn’t usually reside in such a location, due to low altitude. You can also spot birds called ‘Weka’, which were nearly chosen to represent New Zealand as the country’s mascot, instead of the Kiwi. This flightless bird is battling, stubborn and not afraid of humans. It can swim, move swiftly and jump. There’s also the Kererū wood pigeon, which can be spotted in the branches. If you would rather sightsee whilst hiking, then you’re in luck, because there are hiking trails that lead to Pancake Rocks. Depending on where you park, you can access a path that will lead you to Dolomite Point, from where the rocks can be seen. It can be refreshing to see them from this vantage point, so you might want to have a camera with which to take pictures. So, have you added Pancake Rocks to your bucket list yet? 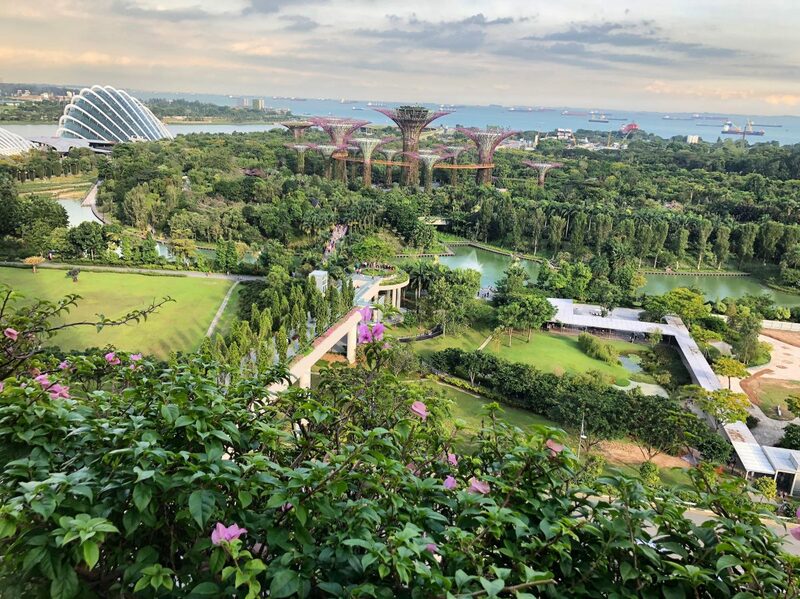 If you are interested in planning a vacation to some of the best eco-destinations in Florida, you should be aware of the fact that you will be faced with a wonderful experience. This state has some completely unforgettable, preserved beauty spaces, ranging from the wonderful Northwest sand beaches to the Everglades. Holiday villas in Florida are incredible and the eco-lifestyle is a big part of local life. One thing that many do not know is that Florida is a highly ecological and really culturally diverse spot to go to. It is definitely among the most diverse travel destinations in the world. Florida is renowned for being vacations centered, mainly building a travel reputation due to shopping and theme parks. However, this is just the start of what you could experience in the Sunshine State. This state has a unique history and numerous natural landscapes. This is why eco-tours are so popular right now. There are many different towns and destinations you can find when interested in ecotourism. Most of them are within a short driving distance of popular tourist hubs. Make sure that you travel consciously and light so that you can truly enjoy the natural beauty that Florida has to offer. Check out the following destinations as really top spots that you do want to put on your list. Navarre is placed between Destin and Pensacola. It is a perfect place that allows you to explore Florida’s Northwest area, which features a stunning powder-white coastline. One of the best spots to visit is Gulf Islands National Seashore. This covers 8 miles filled with undeveloped beaches. You can even spot some incredible sea turtles that visit the shores in order to rest. Move east to check out the dune lakes of Walton County. This is where you can find some incredible freshwater marvels that are unique around the world. In the north, you want to go close to Milton so you can experience what the Blackwater River has to offer. This is Florida’s Canoe Capitol. Then, be sure that you hike the Blackwater River State Forest’s Florida National Scenic Trail. 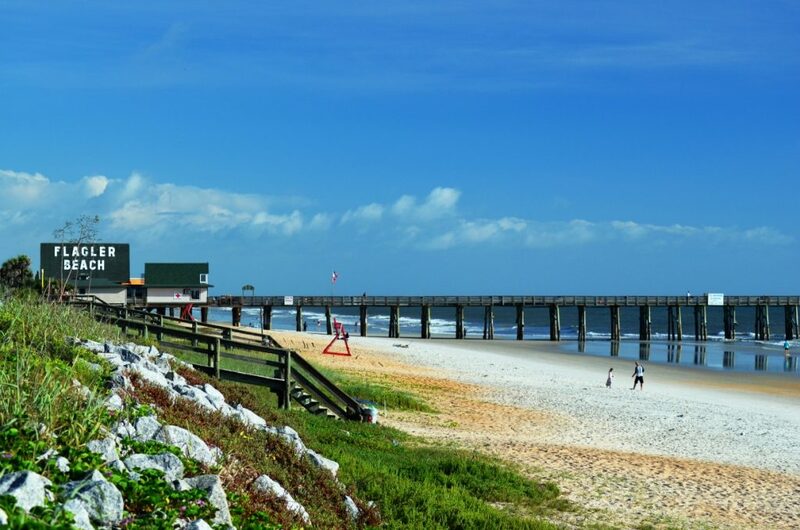 Flagler Beach features so many miles of coastline that is undeveloped. It is a favorite spot for those that love nature and that want to spend some quality time on the coast. Once there, go through the North Peninsula State Park to find pristine scrub-jay habitat and visit Fairchild Oak. This is one of the largest oaks in the world, a wonderful Bulow Creek State Park attraction. Once there, go to Graham Swamp Conservation Area, a region that is simply a heaven for fox, deer and wading birds. The Crystal River Archaeological State Park offers everything that an eco-conscious tourist would want to see. This includes a plaza area, middens and Native American mounds that are pre-Columbian. Do you want to see some manatees? Then, visit Crystal River National Wildlife Refuge in King’s Bay. The area was created in order to protect the West Indian Manatee, which is an endangered species. There are different guided kayak and boat tours that you can choose from. Also, there are numerous trails that hikers are simply going to adore. The one that is usually recommended is the beautiful Citrus Hiking Trail. It is located in Withlacoochee State Forest and gives you the possibility of seeing the red-cockaded woodpecker, which is quite a rare species. Whenever talking about Florida and ecotourism, it is impossible not to mention the Everglades. This is an incredibly popular destination for all people that want to start self-guided eco tours in the state. 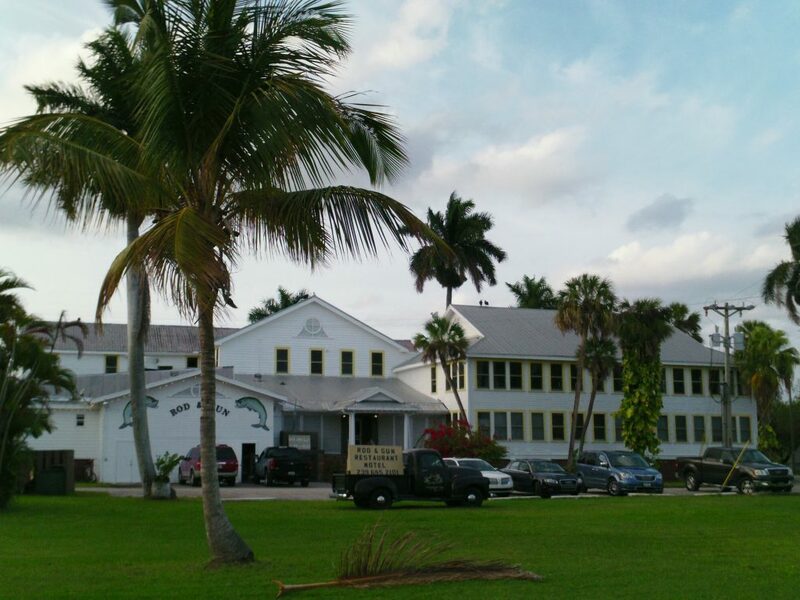 Your base camp can be set in Everglades City, which is the best gateway to visit the Everglades National Park. Once you are there, seriously consider paddling the Wilderness Waterway (99 miles long) and try camping in Ten Thousand Islands, an area that is very popular at the moment. Guided tours are available, taking you to Smallwood Store and Rod And Gun Club, in Chokoloskee Island. This is a truly wonderful starting point for anyone interested in coastal and inland exploration. This incredible Southwest Florida town is simply filled with history, giving you access to that old Florida charm that you want to experience. Much preserved land can be found here. Around 80% of the entire Charlotte Harbor coastline is now protected, being marked as the seventeenth largest US estuary. You can experience around 200 miles of blueway trails, giving paddlers wonderful options for wildlife watching and birding. When moving away from the coastline you can enjoy numerous Florida eco tours, normally starting from Babcock Ranch. You can also visit Pine Island, where you can learn about Calusa Indians thanks to the people at Randell Research Center. Florida may be renowned for the party lifestyle and the many things that tourists do every single day but there is so much more to experience. Most tourists do not actually know much about the real beauty of this state. The destinations highlighted above are just some that are perfect for those interested in ecotourism. Many others can be mentioned. Start your experience from a spot that will allow you to quickly reach as many ecotourism destinations as possible. Also, be sure that your visit will be longer than just a weekend. You do need at least a week to plan a trip that would cover some of what the state has to offer. Being environmentally conscious is very important these days, thanks to phenomena like global warming. And that means you should take an environmentally friendly stance in all parts of your life including your home. 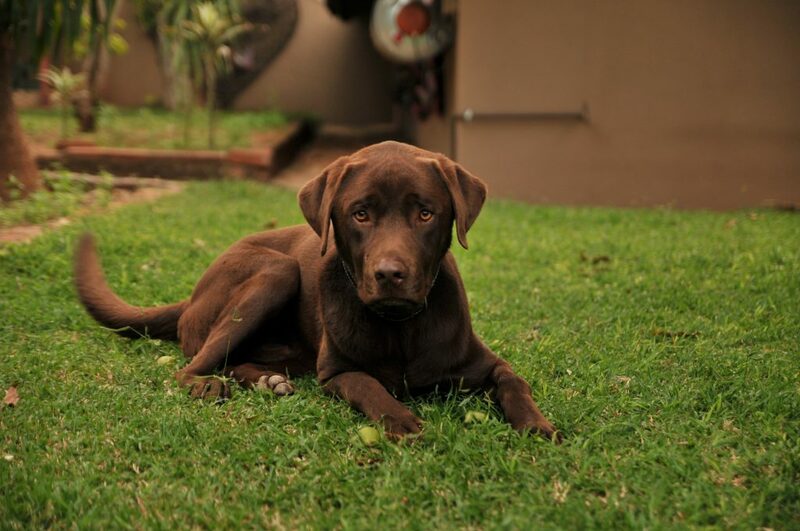 If you have a pet who lives with you at home, you can incorporate eco-friendly products and processes to ensure your pet is well cared for, and that he makes little impact on the environment as possible. 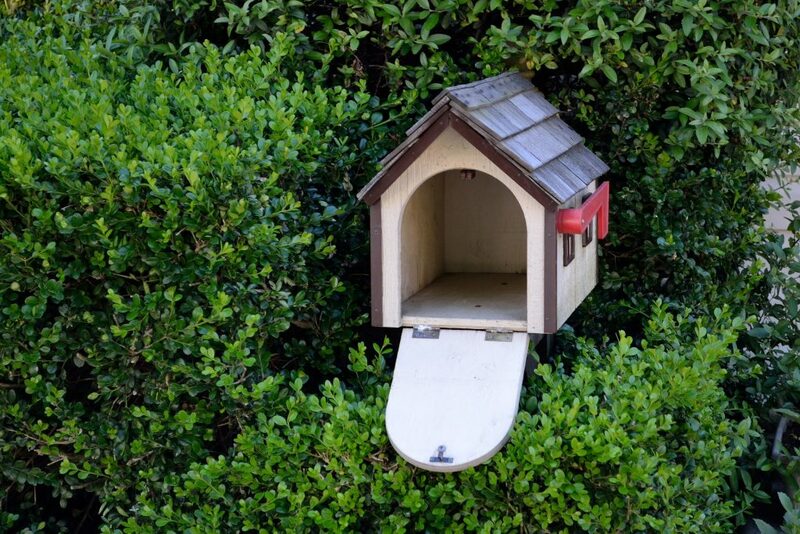 Here are some ways you can make an eco-friendly home for your pet. Your dog may want a pet house he can hang out in outside, or when he needs a place to hide away inside. Consider investing in an eco-friendly dog house so you don’t choose a shelter made from materials that tax the environment. Consider a dog house made from salvaged wood or a plastic one made from recycled materials. Buying a green dog house will ensure that your dog’s little shelter didn’t use unnecessary resources. Instead of tossing your dog’s poop in the trash, consider composting it (just not for your edible plants!) This ensures that the poop and the plastic bags you might otherwise use to pick it up with are not going to clog up a landfill. When you think about what you’re going to feed your pet, make sure you only consider food that’s from sustainable sources. You can find a dog food that is made by companies who only use sustainable ingredients, or you can consider making your own dog food and treats using food from local, sustainable farms and markets or even by growing your own food! Rather than going to a pet store or a breeder to buy your beloved animal, head to a shelter instead and adopt a pet. By adopting a pet, you can reduce the chances that places like puppy mills will continue to operate and this will ultimately reduce the number of resources those businesses require. Adopting a pet is also a generally good way to ensure that all animals already alive are cared for and that none have to be put down by a kill shelter because they couldn’t find a loving home. Make sure you get your pet spayed or neutered so they don’t get end up getting pregnant (or getting someone else’s pet pregnant), and contributing more to the world’s animal population. By making sure your pet doesn’t add more animals to the world, you can help reduce the number of animals that end up requiring resources to stay alive — and those that end up creating more waste in the world. When you take your animal to the vet for a regular treatment like the top Heartgard plus for dogs, ask about getting him or her spayed or neutered — your vet can give you all the information you need to know about how and when to have it done. If you want to have a pet but also make a minimal impact on the environment, you should try to focus on creating a green pet home. By taking some eco-friendly steps to create a comfortable pet environment, you can enjoy your furry friend while also having the knowledge that you haven’t harmed the planet while caring for him. Find the next destination of your old, unwanted mattress and avoid the landfill at all costs. Based on the condition of your mattress, we will help you decide if it should be recycled or donated – never dumped. 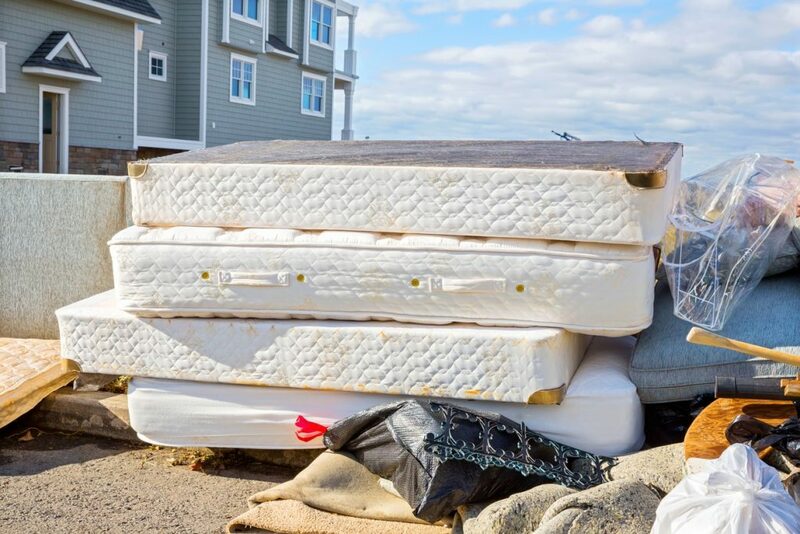 Twenty-million mattresses are improperly disposed of every year in the United States – meaning they end up in a landfill. 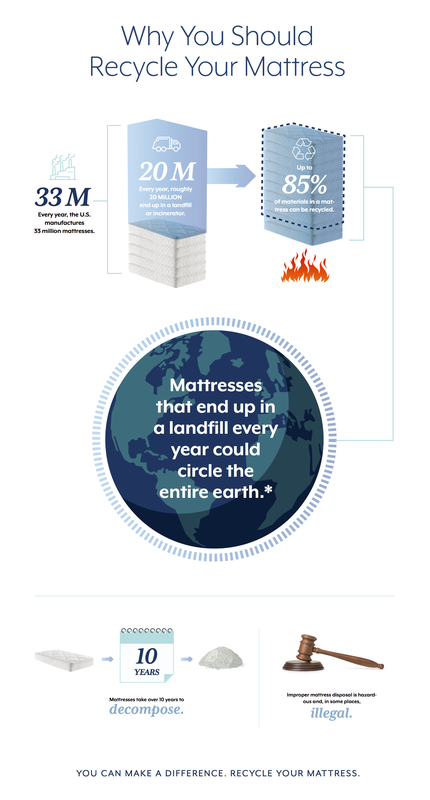 To put this into perspective, the number of mattresses dumped in a landfill could circle the earth. 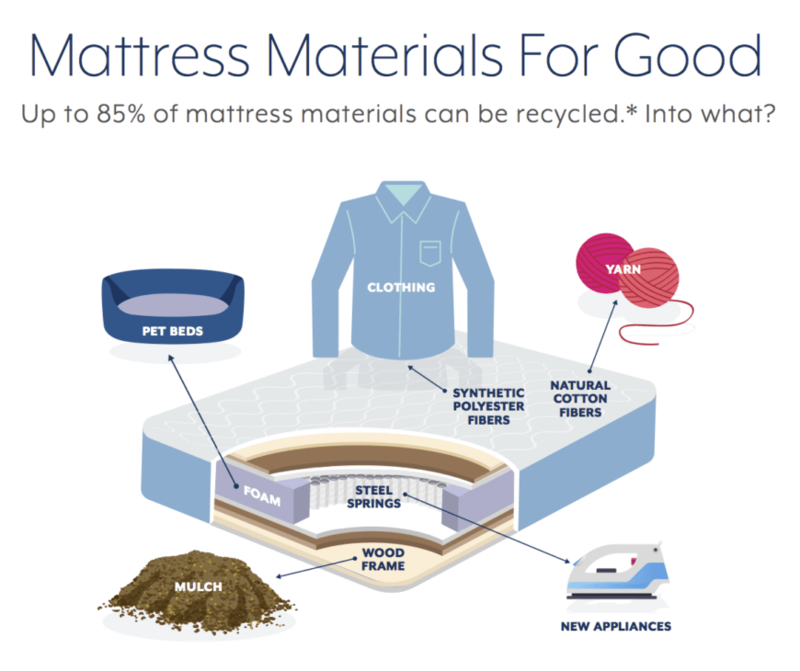 What a shame considering 85% of the materials in a mattress can be recycled! This information might sound shocking, but think about how many unwanted mattresses you’ve come across in your own neighborhood. You’ve probably seen many a mattress dumped on the curb for the trash collectors. Have you ever thought about what you would do with your old mattress? Probably not. After all, the average lifetime of a mattress is 7 to 10 years – so it’s not a regular habit to get rid of your mattress like it would be to take out the trash. That’s why no one really knows what to do with their old mattress. We are here to tell you that there are options! Contrary to popular belief, there are responsible ways to dispose of your mattress. Before tossing your old mattress, consider giving it to someone in need! For those of you still with us, you should know there are many laws about donating and reselling mattresses. So even if your old bed is in decent condition, there may not be any place to donate it in your area. Donating your mattress is easy. All you have to do is call your local charity and ask if they accept mattress donations. If they do, most of the time they will come pick it up at your house for free! If not, load it up in the car and drop it off. Almost all donated mattresses are taken to be sanitized before they are offered to someone in need. For more information, check out Mattress Advisor’s guide to donating your mattress. Okay, so your mattress has reached the end of its life – or so you thought! Although it’s life as a bed is over, consider all the ways it can be repurposed. For example, as carpet underlay, yarn, mulch, clothing and much more! 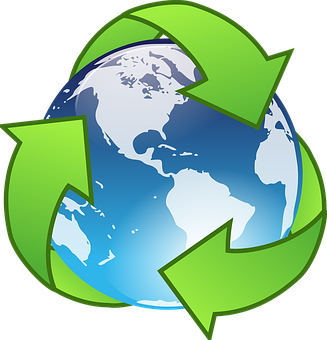 If recycling sounds like a good option for your situation, check out this guide to recycling your mattress. It will tell you everything you need to know about how, why and where to recycle your mattress. 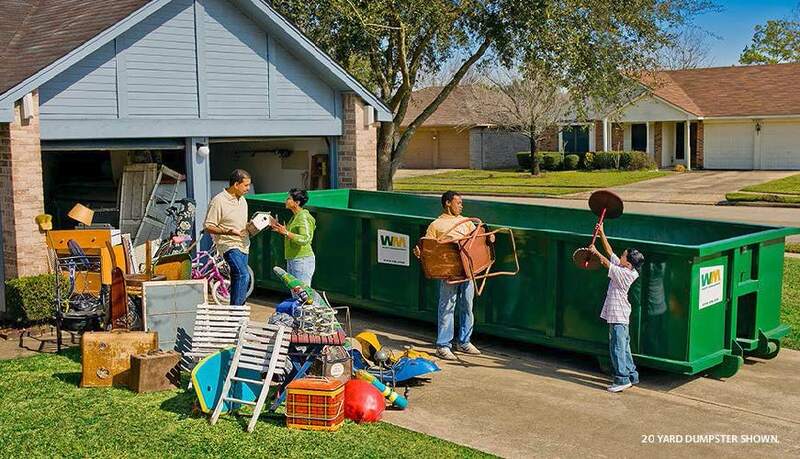 There is the option to call a junk removal service such as 1-800-GOT-JUNK and College Hunks Hauling Junk. Just make sure to call and ask where they take the mattresses in your area. Oftentimes, they take them to the landfill – which we are trying to avoid! However, sometimes they DO recycle. Just make sure you know where your bed is going, and try to avoid the landfill at all costs! 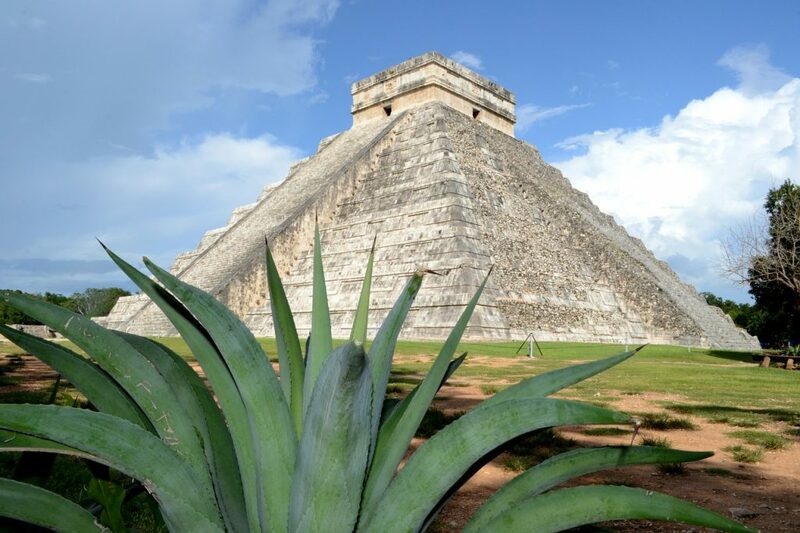 Central America is a beautiful place to visit and a huge draw for tourist annually. If you are on a budget, the best destination in this part of the world is Honduras. 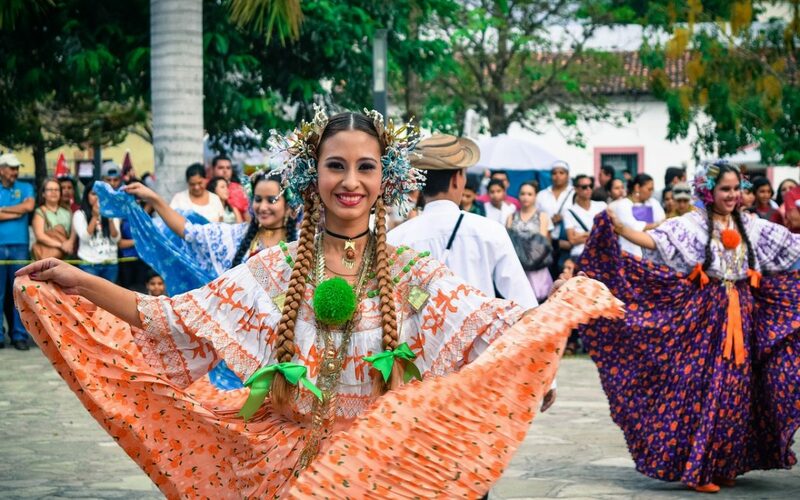 Honduras gives you the beauty of the tropical Caribbean, the rich Garifuna culture of the area, and it will not break the bank. There are actually some very reasonable ways to travel to Honduras. As with any country, there are a few places you would not want to travel in Honduras. Just as the United States has areas that are troubled with gangs and unsavory activities, Central America has it’s troubled spots. However, for the most part, Honduras is a tropical paradise. As long as you know where to travel, you will have no worries. The Northern coast is famous for natural beauty. La Ceiba is a destination that many people flock to. This area is very affordable, and there are many options to allow you to customize your trip. For example, you may opt to stay in a hostel which is considerably less money than a hotel. You may also choose to rent a cabin. If you are traveling in a group, a cabin with up to 4 bunks may be just what you are looking for. Travel light and have your luggage delivered to you. This allows you more options for getting to your destination. You can even arrange to have it shipped back home at the end of your trip. When Americans go on vacation, we seem to have a preconceived notion that we have to eat, sleep, and live as we do at home. When you are traveling to Central America, you will find their lifestyle is different from yours. This is their home, and they are accustomed to making the most of it. To save money and enjoy a true Central American experience, live as they do. Instead, be open to trying new things. For example, instead of eating at a restaurant, try a local cafeteria. Enjoy low prices and traditional foods like “pastelitos” and “baleadas” from famous Cobel’s Cafeteria. Cobel’s is well known for their breakfasts. In the evening, it is not unusual to find food vendors on the beach. They serve their authentic meals such as baleadas which is (warm wheat flour tortillas) topped with refried beans, cheeses, avocado, chicken, pork or a local favorite “chorizo”. In Honduras, you do not have to spend a fortune renting a car or taking a cab. The most popular form of transportation is walking. However, using a taxi is very inexpensive. The charge is per person, and it usually equals less than $2.00 per trip. The taxi can pick up a total of four people while in route. This is a great way to meet the locals, see the sights, and save a bundle. There are also shuttle services available between popular destinations. Check your bill carefully. Some establishments add the tip directly to your bill. If you are not watching, you could tip your server twice. Use cash. The credit card and debit card fees in Honduras are costly. Take care of your currency exchange before you go. There are money changers at the borders, but they charge hefty fees. Download apps to help you with the currency and the language. Take your time and be sure you know what you are paying for and how much it costs. Consider backpacking and camping while you are there. The weather is great, and there is no better way to enjoy the tropics. Shop for travel packages before you go. Make your purchases online and compare the adventures. Go scuba diving in Roatan. See shipwrecks, seawalls, and marine life. Go whitewater rafting or kayaking at Pico Bonito. No matter what your idea of fun it, you will find it in Central America. No where else can you experience this natural beauty at such an affordable price. Once you go, you will return again and again. Painting isn’t as easy as slathering a coat of paint on your walls. There are a lot of things that you have to consider if you’re planning to repaint the walls in your house. You have to be aware that your choice of paint affects your home’s indoor air quality, and your family’s health as well. Organic compounds are chemicals that can be found in all living things. VOC means the volatile organic compound, and these are organic compounds which can easily be altered to gas. Aside from carbon, VOCs also contain sulfur, hydrogen, and chlorine. VOCs are dangerous air pollutants because they can turn into smog if combined with ground-level nitrogen oxide. Paint, solvents, and fresheners emit VOC. The products that you use in your home can expose you to high levels of VOCs. VOC can affect your health. Short-term exposure to VOCs can result in minor discomforts like a headache, nausea, dizziness, and epistaxis. Long-term exposure can cause liver and kidney damage. These are the reasons why VOCs should be avoided as much as possible by choosing eco-friendly paint brands which contain low or no VOCs. The paint from this company is free from formaldehyde and ammonia, and it also uses natural pigment and other natural ingredients. 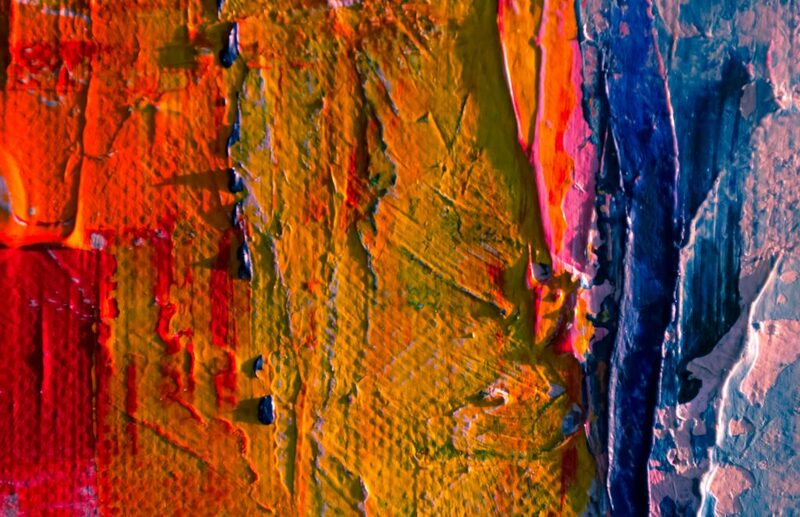 The paint is also water-based, efficiently reducing the use of solvents. The products under this line are water based, but it’s still durable. It’s easy to apply, and it also dries quickly, speeding up the process of your painting job. The 101 colors offered will provide good options for you. This paint is odor-free, and it doesn’t contain VOC. It’s also durable, and the colors don’t fade quickly. This non-toxic paint is odor-free and VOC-free. The absence of chemicals doesn’t affect the quality of the paint because it’s still durable and it gives excellent and lasting coverage for your walls. This specific line of products was created to produce Painting products which help the environment. The paints under this line are free from toxins and contain low VOC level. This paint brand is unique because it uses European colorants, and it offers a vast collection of colors. C2 LoVo is also toxin-free, and it contains low VOC levels. Dunn Edwards colorants are free from VOC. It also puts a Reactivity-Adjusted VOC Content rating label on their products. The water-based paints are free of toxins and VOCs. It doesn’t emit a strong odor, and it’s also ideal for people with allergies. AFM Safecoat aims to eliminate harmful toxins from their products. It also seeks to eradicate bad indoor air quality for the home caused by products containing VOCs and similar toxins. 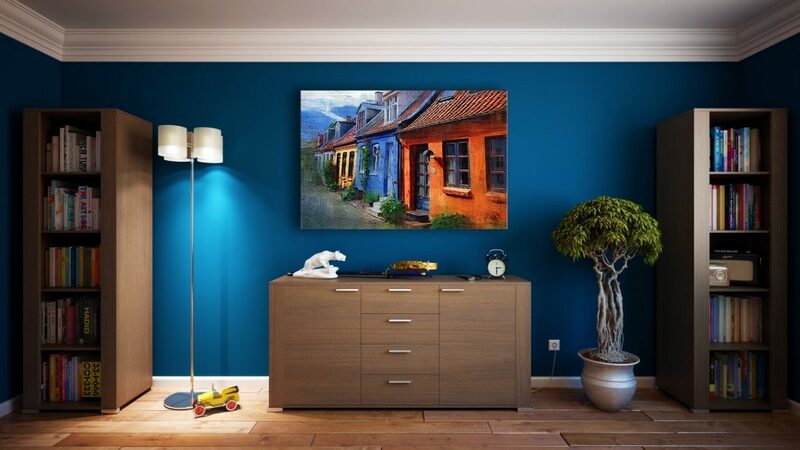 With 120 colors to choose from, you’ll have a lot of options for your wall colors. It resists mold and bacteria. It’s also odorless, relieving you from the usual strong fumes of paint. These paints are also free from VOC. 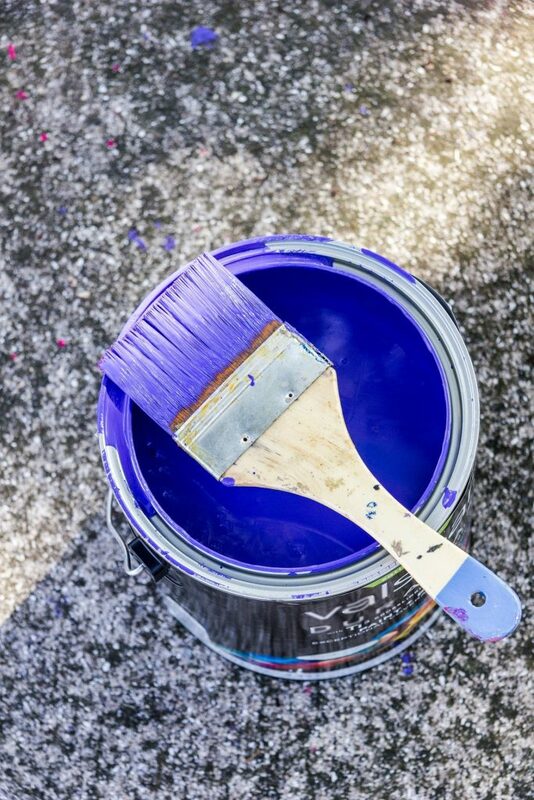 It’s essential to make your house more beautiful by repainting your walls once in a while. Aside from beauty, you also have to consider if the paint you’ll choose is beneficial for your family’s health. There are a lot of eco-friendly paint choices in the market. You won’t have difficulty in choosing the shade that you want. So be health-conscious with your paint choices and help your family stay healthy inside the home.